Something is haunting this office building: balloons. After a week off, the Terror! 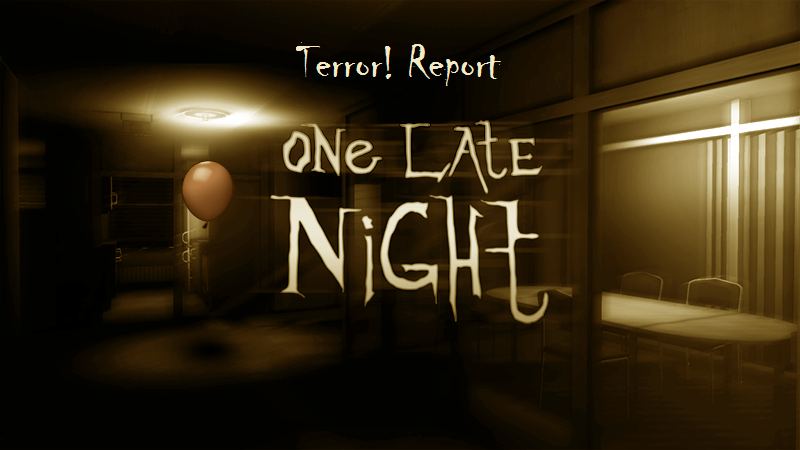 Report crew come back to haunt the living daylights out of you with One Late Night. You’re working late one night when some weird things start happening; you hear something from down the hall; you see strange images on computers. You’re freaked out, but it’s probably just a trick of the light or something. In One Late Night the horror becomes real — or at least it tries to become real. It really takes a long time to get going, and once it starts it’s not all that exciting either (if I recall correctly). Here’s One Late Night. Watch and enjoy!